This year’s SBC Annual Meeting will be held in Birmingham Alabama, June 11th - 12th. President JD Greear will oversee daily business. This year’s theme is “Gospel Above All”, something that many of us fully affirm. As a SBC-only network, we encourage all of our pastors and laymen, to attend this event if available. All of our board members and staff will be in attendance and this is a great time to get together with other Pillar partners! NOTE: We’ve heard that hotel accommodations will be limited, so please secure your rooms early if planning to attend. Our Pillar Golf Tournament is an annual event we host to benefit our churches plants & revitalizations. Sponsors and corporate partners partake in a full-day event of golf, door prizes, lunch, and a brief presentation about the network. Check back here later this spring for signup access and further information. Pastors in the Appalachian area of North Carolina are invited to attend a Pillar Interest Luncheon at the Three Rivers Baptist Association building on March 25th. We’ll get started around 11AM, enjoying a catered meal, with a presentation from Nate Akin & Zach Nelson, finishing up by 1pm. Thanks for RSVPING! We’ll see you on the 25th! Zach Nelson & Nate Akin are hosting a special Pillar dinner during the 9Marks at Midwestern Baptist Theological Seminary Conference, on February 12 in Kansas City, MO. This dinner will be held in room LR-35 on the lower level of the chapel building, starting about 5:30PM and finishing up by 6:45PM. We’d love to have you come out! Please list your cell so we can reach out if any last minute changes are required. Zach Nelson & Nate Akin are hosting a special Pillar dinner at The News Room during the annual Bethlehem Conference on January 28th in Minneapolis, MN. If you and any guests would be interested in attending, please RSVP for the dinner below. Please enter your cell so we can text any location changes. Including yourself, how many TOTAL people are you bringing to dinner? The Unite Conference is the Pillar Network's flagship, annual event. This conference gives opportunity for planters/revitalizers/pastors from all over the country to gather in Raleigh, NC for 2.5 days of fellowship, biblical exposition, networking, refreshment, and insight. ***Please note, that for this year's conference their will be a special PILLAR BANQUET held on Tuesday evening at 6pm, for donors, pastors, and other interested parties. 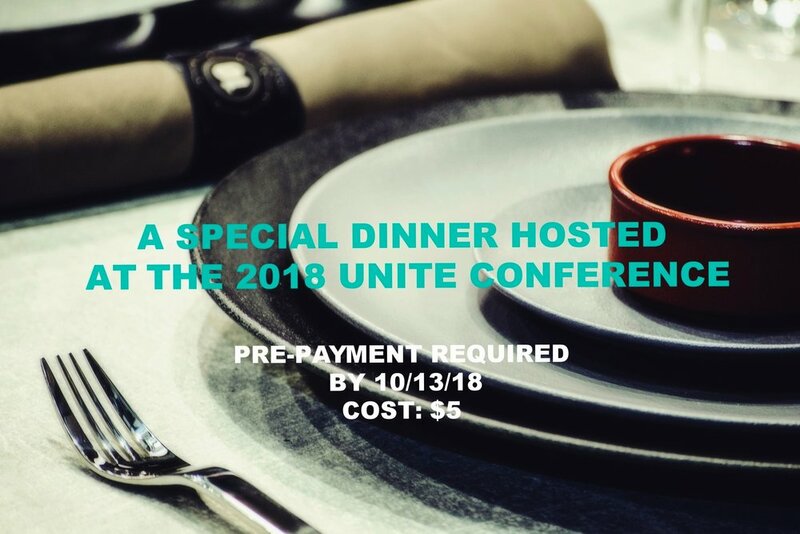 Pre-registration and an additional fee is required by 10/13/18 for the banquet. Click below to learn more & to reserve your tickets! For this year's conference, we have several different price points, including a new Early Bird price, which expires 10/3/18. Visit our registration page at Eventbrite to view various prices & options. Don't forget to pre-register for the Pillar Banquet separately to ensure your place at the table for our annual celebration. Below is a list of discounted lodging vendors. Mention Pillar/Unite to receive a reduced rate when booking your rooms. *Note: in order to take part of this discount, you must reserve your rooms as soon as possible. Some church members in Raleigh are willing to open up their homes to pastors from across the nation. If you're interested in such lodgings, please contact Kaycee Lookingbill (email below). For our Raleigh church members, if you're interested in opening your home to some of our pastors from across the nation, please reach out to Kaycee Lookingbill, our Events Planner. Check out images from last year's conference, along with our complete schedule below! Every year, Pillar members, donors, volunteers, and golf enthusiasts gather to play golf to benefit our network. This year, we're going to a new venue, Hasentree Golf Club, in North Raleigh. This venue boasts a high quality course, in a more convenient locale for the majority of our players. This event includes 18 holes along with special activities, door prizes, and a celebratory lunch at the close. Add "sponsored by" to website and social media, with links to sponsor's brand pages. For the first time ever, Pillar is sponsoring the annual Baptist 21 luncheon at the SBC 2018, in Dallas, TX. Please be sure to sign up to show your solidarity with Pillar and Baptist 21, who seeks to engage younger leaders, as we all try to forge churches that are biblical, gospel-centered, and Christ exalting! In order to the make the most of a good opportunity, we would like to interview AS MANY PILLAR CHURCH PASTORS/STAFF MEMBERS AS POSSIBLE, while in Dallas at the SBC ‘18. Please consider giving up about just 15 minutes of your time while in the Big D so that we can share with the world, what God is doing through your church. 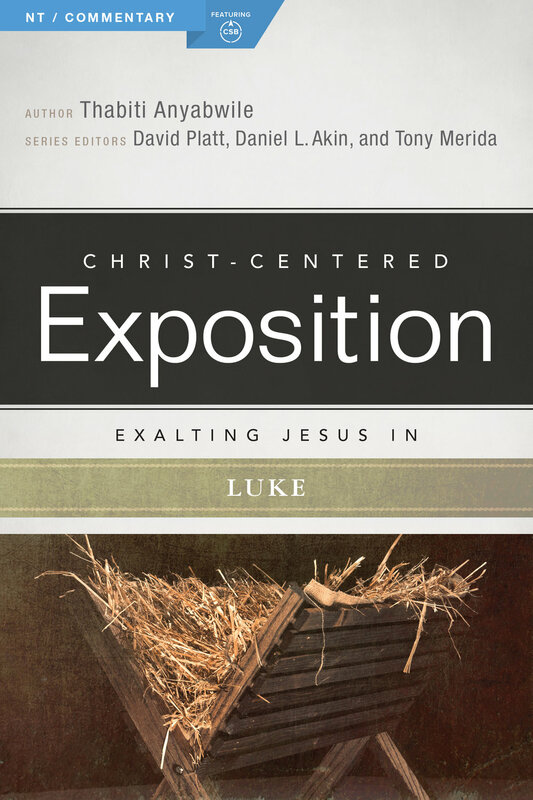 Any pastor who agrees to be interviewed with us in Dallas will receive the latest commentary in the Christ Centered Exposition series, Exalting Jesus In Luke, by Thabiti Anyabwile, as a small token for your service to our network. To help with this process, we have reserved a room at the AC Hotel Marriott within walking distance of the convention center. On Monday, June 11th, from 8:00AM until 9:30pm, our communications team will be ready to record you whenever you have time available. We've setup an online form that allows you to reserve a time-slot. Sign-up times will be in your current time zone, but we'll plan to run on Central Time in Dallas, meaning if you sign up for a 9:15am time slot, it'll actually be 8:15am in Dallas. Reach out to Kevin Simmons for questions: kevin@thepillarnetwork.com or Call Kevin. On Wednesday, May 23rd, we are hosting a luncheon near Washington, DC for SBC churches/pastors who are interested in learning more about our network. This event will take place at Hamilton Baptist Church, located at 16 East Colonial Highway Hamilton, VA 20158, northwest of the City. The lunch is set to begin sharply at 12pm, EST. Our Executive Director, Zach Nelson, will be on hand to get to know you and answer questions if you're considering Pillar. To secure your spot, please RSVP at the below link. Are you planning to attend the Together for the Gospel conference this April in Louisville, KY? Be sure to attend our Pillar Dinner the evening of April 12, 2018. If you have friends who are interested in learning more about Pillar, this is a great event to attend, as well as a fun evening where our partners from around the nation can gather together in fellowship.